or by just clicking here. 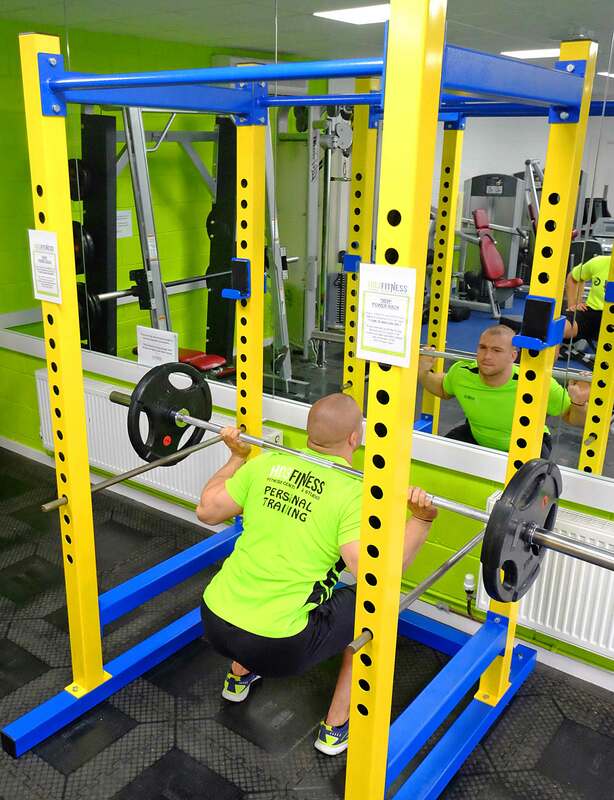 Adam, one of HD3 Fitness Centre’s instructors, demonstrates the new Power Rack. 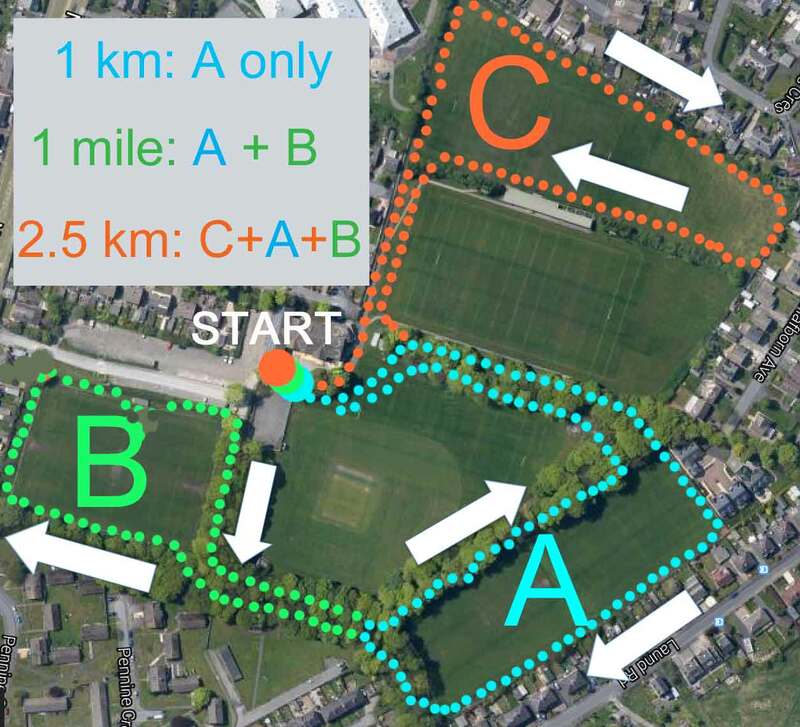 a 2.5 km course (which extends the 1 mile course by adding in even more grassy running, around the uppermost pitch). On Sunday, 19 April 2015, the Huddersfield Marathon again starts from the Huddersfield YMCA Sports Grounds. HD3 Fitness Centre staff will again lead the ‘warm up’. In addition, there is ‘Fun Run’ which is based on one of the trails described above. Get yourself signed up! 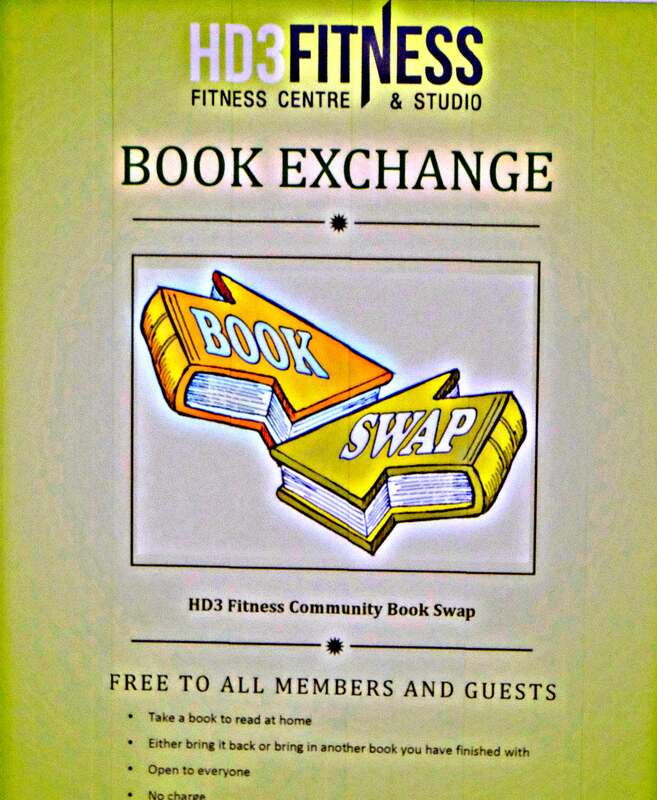 We have just started a “book swap” at HD3 Fitness Centre. Take one to read. Swap for one of your own. Today for example there’s a John le Carre, a David Mitchell, a Tony Parsons, a Joanne Harris and a Madeline Miller. 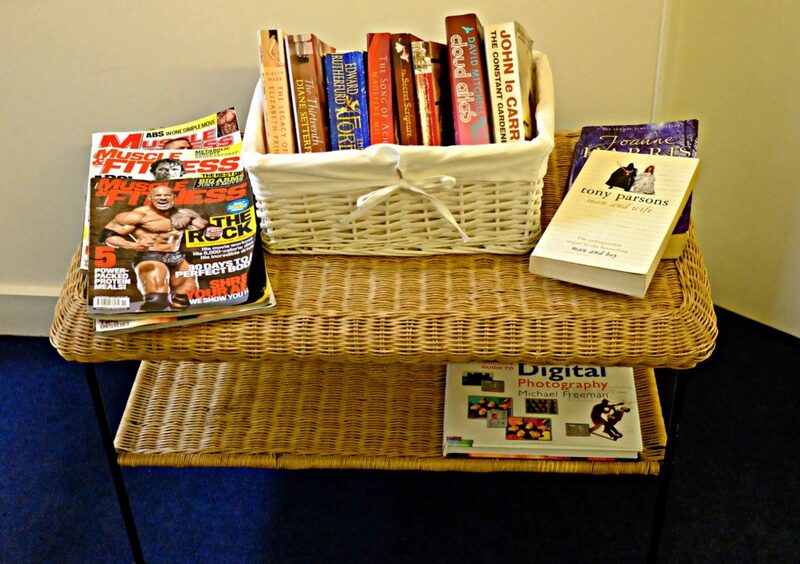 They are all in the reception area. Nordic Walkers brave Arctic conditions! 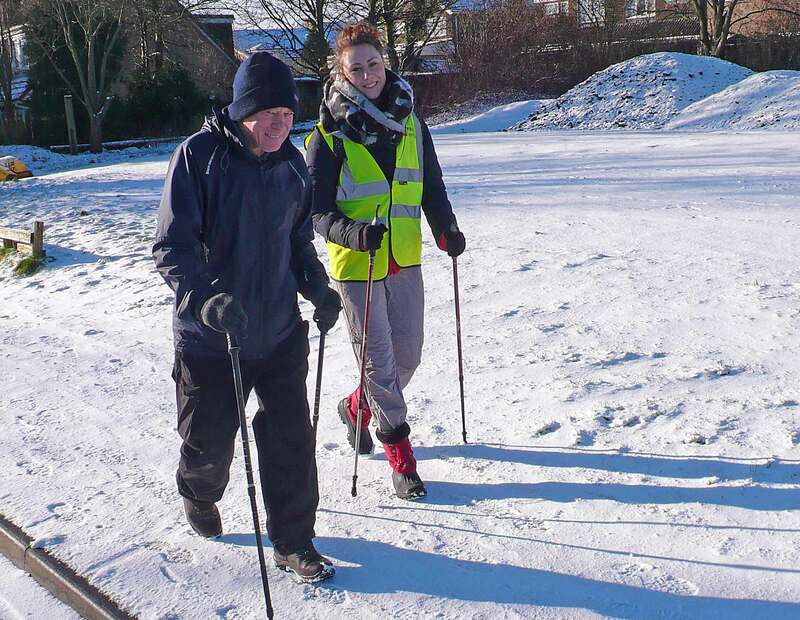 The Nordic Walking Group, led by Linda and HD3 Fitness Centre’s instructor Nicola, didn’t miss out on their Wednesday hike despite the snowy conditions. The group has a weekly meet for a local hike but also plans on running monthly trips to destinations further afield. Currently there are two groups, one fast, one less fast, so there’s something for everyone. And, there’s hot drinks and cake waiting at the finish. 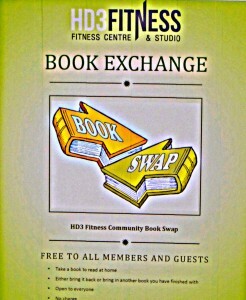 For further details, call in at the Fitness Centre for more information. We’ve made a few improvements to the Woodland Trail this week. Firstly, there are markers to indicate clearly the route to be taken. And secondly, we’ve drained the boggy section down at the farthest corner of the playing fields, so no more wet feet this winter. Also, our resident personal trainer, Simon, has broken the 5 minute lap time this summer, so now it’s down to you! At long last, VIBE! 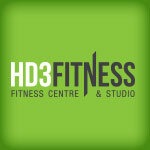 has arrived at HD3 Fitness Centre. VIBE! is an exciting and vibrant approach to core fitness. Below are the classes available in October. For further information and bookings, contact the centre. Zumba Gold is a perfect class for the older adults looking for a modified Zumba Class that re-creates the original moves. It’s low intensity, easy to follow and focuses on balance, range of motion and co-ordination. Zumba Gold is included in your HD3 Gym Membership and Monthly PALS Membership. PALS pay-as-you-go members are also welcome at their usual PALS rate and non-members only £4.00! 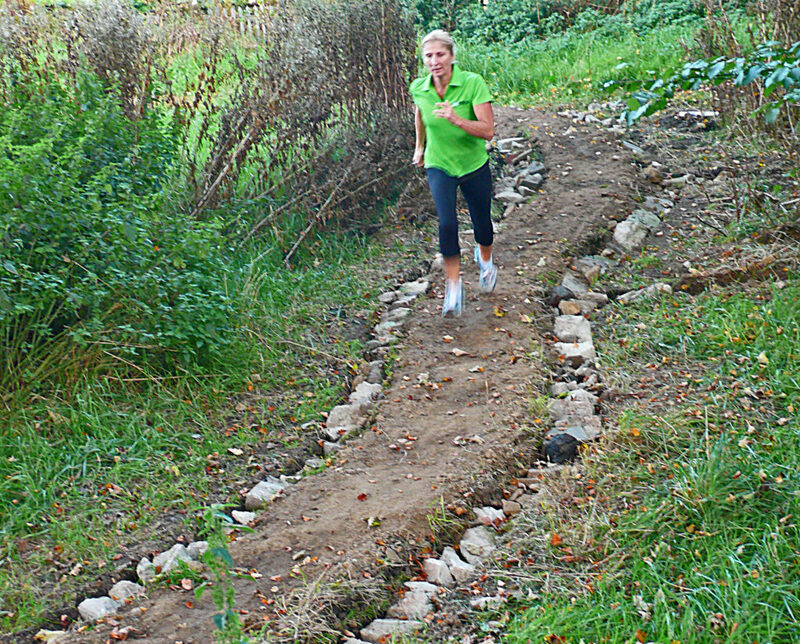 In a joint project, HD3 Fitness Centre and Huddersfield YMCA Sports Ground now have a running trail. The Woodland Trail is a circuit of around 1400 metres and takes in a combination of grassy sprints along the edges of some of the sports pitches connected by a series of delightful twisty woodland sections. It’s all off-road so gentle on the knees and feet! Currently, we have a time for one lap of just over 5 minutes, so come and give it a try… post up your time! Members can use the Woodland Trail any time this summer for free. Non-members are invited to use the trail for just £1 daily (and this includes a free bottle of water). It’s important that you sign in and out at reception; you’ll be given a map of where to go.